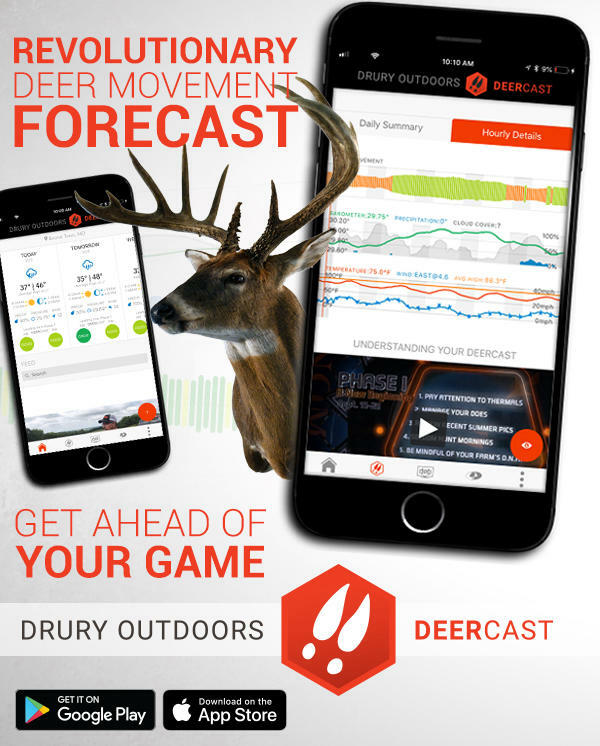 St. Peters, MO - Drury Outdoors, one of the top names in the outdoor entertainment industry is helping deer hunters get ahead of their game this fall with a new smartphone app called DeerCast. DeerCast is completely free during this first deer season and available now for Android and iOS devices. DeerCast utilizes an hour-by-hour algorithm that interprets 11 different weather variables in any specified location. The algorithm then forecasts deer movement in that area, helping hunters know what the deer are going to do before the deer themselves know. When asked about creating DeerCast, co-creator Mark Drury said, “Terry and I have always been fascinated by when and why deer move. Between our combined 70 years of chasing whitetails, we’ve finally cracked that code and exported it out of our heads and into this app. We’ve identified the key variables that influence deer across the THIRTEEN phases of season and wrapped them up into an algorithm that tells hunters when deer will be on the move where they hunt. We’ve always focused on helping people become more effective deer hunters. DeerCast does just that." DeerCast is also a hub for Mossy Oak & Drury Outdoors content, a massive collection encompassing the DODTV library with over 20,000 minutes of high quality, adrenaline-fueled hunts spanning the current online shows, all the way back to the very first Drury Outdoors hunts captured on VHS tapes in 1989. DeerCast gives users unprecedented direct live-streaming video access to the Drury Outdoors team’s actual hunts by showing them video of buck kills as they happen during the season and aggregates them all under the DeerCast NOW series. Users will also be able to interact with DOD team members in ways like never before and submit stories and photos of their own successes that could be chosen by Drury Outdoors for Fan Shares within the app. 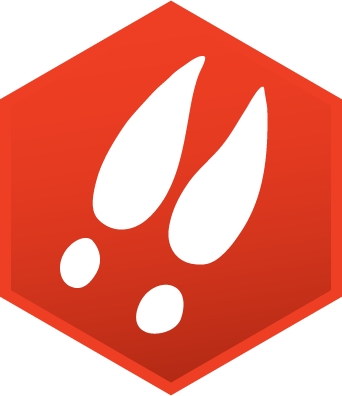 In order for hunters to truly experience the power of DeerCast, the app will be completely free during its first season. Get it for iOS or Android and learn more at ourDeerCast page.